Ok, so right now I’m in a situation where I might need to make some hard choices on where my time goes. The thing is that this has been one of the best experiences of my life, but for financial reasons I might need to go back to law full time. The problem there being that law is one of those jobs that doesn’t leave room for much else. Obviously, I would prefer to continue telling you stories. I think I have a knack for it, and I feel like discussing our shared history is important. And there’s a bunch of fun stuff that I have been working on and would love to do. Such as getting more interviews with experts, new side stories (similar to what I’ve been doing with St. Patrick) and I’ve even been looking into putting together tours. But for me to give this project the attention it deserves I need to do it full time, rather than as a hobby I squeeze in between cases. So I thought I’d apply for the job of entertaining you. By my math, I need 150 new members in order to be able to afford to do this full time. After all, I’m not looking to get rich. I just want to be able to dedicate all my time to doing this podcast. 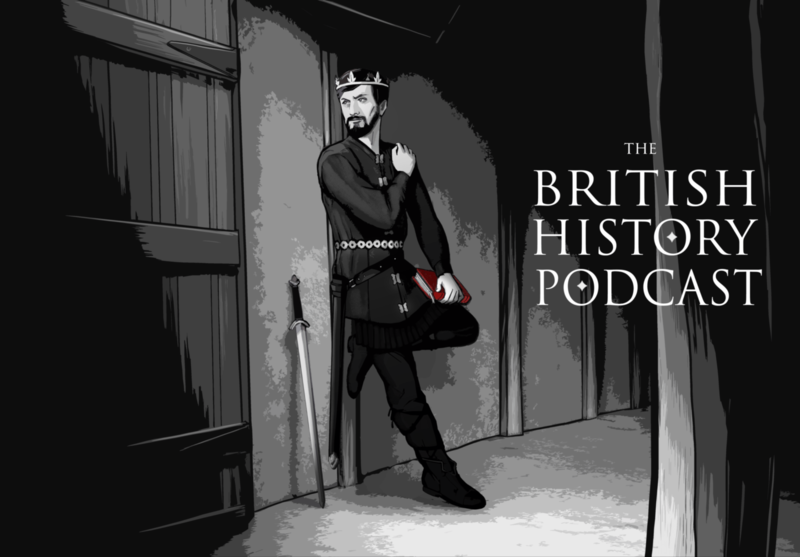 So if you like what I’m doing here, and you’d like me to do this full time, please consider becoming a member over at www.thebritishhistorypodcast.com. For around the price of a latte each month my day job could be telling you stories, hunting down new things to share with you, and bringing you interviews with experts on the material we have all come to know. To pique your interest, I’ve got several incentives that I have listed over on the website which include a future series analyzing the tale of King Arthur, a special on Stonehenge, and even a trip to the UK with get togethers and perhaps even a group outing to the British Museum or something along those lines. The truth of it is that I love this project. And I would really like to work for you full time. So I hope you’ll consider hiring me. Besides, does the world really need another lawyer? How about raising the current monthly rate a buck or two (or whatever it takes to hit your target)? I suppose you might lose some current members that way, but maybe it’s a possibility. If you could meet the target without raising it too much it might work. Just a thought that might not make sense at all, but who knows? I’d have to increase it quite a bit more than a couple bucks, unfortunately. Besides, I don’t want to further burden those who have already signed up. I don’t think that would be fair. You know? I just became a member. Come on everybody! We just need 999 more to see (hear?) Jamie drink Anglo Saxon ale and sing a Bonnie Tyler classic. it doesn’t seem as though you are too enthusiastic about going back to law, so have you thought about possibly turning to product advertising? Have you heard the WW2 podcast? He does it a bit in the beginning, usually educational stuff, and it doesn’t sound too awful, lol. But I would understand if you didn’t want to go that route. will new members have access to previous member only podcasts? Please let me know if you didn’t get a welcome email from me letting you know how to get all the extras. i’m all signed up and all i need is instructions to get at the goodies! here’s to a long life of bhp!! could you email me with details on how to activate my membership? Nancy! You’re the first person to have donated to this project, so I don’t know if you could ever lose all your street cred (nor your internet fame). There’s no way for you to change your PayPal subscription, unfortunately. They only way to pull it off is to cancel and resubscribe (but don’t worry, switching over won’t lose you any status). And frankly, I’d prefer it if people were over at Amazon. PayPal has been taking a whopping 20% in fees for the membership subscriptions. I don’t even think loan sharks take a cut that big. ;) Thankfully, Amazon is much more reasonable. Anyway, thanks for being such a long standing and supportive member! That’s really generous! Thank you. :) If you log in to PayPal you should be able to cancel your subscription there (and if you can’t just email me and I’ll be able to do it on my end), and then you just need to click on the “Become a Member” tab and follow the instructions on signing up through Amazon Payments. I’m really sorry about that. I wish I had known about the issues with PayPal before I started this whole thing and I could have prevented a lot of frustration from members. Thanks again, Nicki. It really does help quite a bit! Hey, I am a mom who teaches my kids at home. I just listened to your podcast for the first time today and really enjoyed it. I am considering supporting you. I am going to spread your site around to my Facebook friends who home school, or who just love history. Thanks, Jenette. That’s wonderful to hear, Jenette! I’ve often wondered about whether this would mix with homeschooling. I have an irreverent tone and sometimes cover some pretty heavy and/or dense material. But I’ve often thought about it and have wanted to put together some sort of homeschool share system (exams, study aids, etc) so that if a family decides to use the BHP in some way they won’t need to reinvent the wheel. Anyway, that’s a tangent. The point is, I’m so glad you’re enjoying the podcast and thank you very much for sharing it with your friends on Facebook! I’m an extremely poor grad student about to move to Scotland for school, so unfortunately I can’t become a member right now. BUT, I love your podcast and as soon as I have some extra cash, you can count on me to join! I don’t know if that’ll help you at all right now, but I’ll become a member eventually. Good luck on getting all your members, I’d hate to lose this podcast. Well, I have my fingers crossed. I’m lucky to have supportive and generous listeners, so hopefully this will all work out! Another poor student here. Really enjoy the podcast so will be joining up as soon as I have some money! Sitting here, listening to your plea, I thought to myself: ”He sounds like a smart, creative young man. I may need somebody to assigned me with a couple matters this year.” then I heard that you only want to do whatever you do on a full-time basis. “Fair enough,” I thought. Then the ended with what I consider to be an existential question, given my profession. Then I signed up anyway. Damned simulated keyboard, guessing words for me rather than just recording what I type!!! And thank you so much for being part of this! We have reviewed your qualifications for the position of British History Podcaster. Though there are a number of competing applicants, we believe that you are the best fit for our team. This decision was strongly influenced by the rigor of your past research and your semi-professional demeanor. You’re hired. Congratulations. -ish. Good luck getting hired a couple hundred more times. I know you can do it. Huw, the answer is both. Right now I’m focused on making the dark ages not so dark because we don’t have a lot of individuals to speak about. So my thought is that I’ll be doing Food, War, Politics, and Religion (the big pillars of the time). Once we have a firm groundwork for who these people were and where they were coming from, I’ll start moving forward again. Initially it’ll go fast because we dont know much about Cerdic, for example. But I imagine once we get to Alfred things will really start to slow down and we’ll talk about exactly who he was and what happened there. Once I get to the Norman era, I imagine that it will be a blend of cultural talks, commoner points of view, and great man discussions. Hopefully giving us all a very broad and deep understanding of the people and the times. Does that help explain the direction? Yay Nancy! I challenge all $2.99 monthly members to upgrade at least $2/month. And if any of you who do are in the DC area, I volunteer to give at least one of you, if not all, a 2-hour ballroom/swing/latin dance lesson! I have just finished listening to the podcast on A-S drinks, as a brewer and an home meadmaker I had a good time listening to this. Some thing I have not done is any research on distilling. Since wiskey (or whiskey) is just distilled ale, when do you think that this was created? Keep up the good work, and the great information, it has been a fun listen. Once I get caught up, then maybe I can listen to the other podcasts. I haven’t looked into the history of whiskey. But I’ve discussed doing something like that on several occasions with various of my lush friends. So it very well could happen in the future. Bah, law; dusty books and tedious droning are not for you. Sing long the Saga of the British and earn true honour and glory as a bard like you forefathers……. I would be first in line for the UK tour with BHP!! Cant wait for a tour. Just cancelled old subscription and added new one. I hope you get the number of members you need to keep this going and make it your full time job. It would be a shame to lose the BHP, especially as it has reached so many people already who love the stuff you are doing, me included obviously :-). As always, keep up the good work and bring on Bonnie Tyler! You had better start brushing now just in case because I have noticed quite a few members have joined since I was last around! Hi Jamie! First off, I love, love, love your podcast after only recently finding it. Not a member yet, ( gotta do this). I am curious and very interested in the possibility of a UK ‘tour’ . I visit , on the cheap, as often as I can and the thought of a tour and a few stories sounds fantastic. Have you given it any more consideration? I’ve gotten this request a few times. I’ve thought about it, but I’m not sure how much interest there realistically would be and setting up something like that is wildly outside of my skillset. It would take a ton of logistics to organize something like that for a large group.